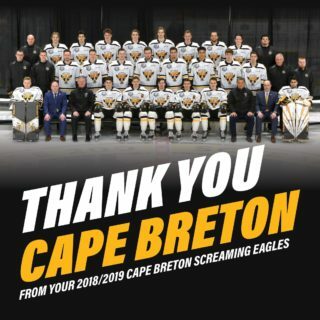 SYDNEY – The Cape Breton Screaming Eagles announced today that Gerard Shaw has been named the club’s new president. 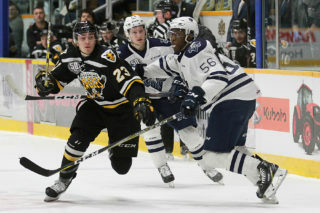 Shaw, 55, replaces Andre Cote, who resigned as team president in early April after holding the position for six seasons. The Glace Bay native now residing in Albert Bridge has an extensive background in human resources and business management with the federal government and holds degrees from Cape Breton University, Lakehead University, and Ryerson University. 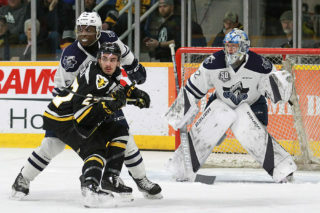 “I am very pleased and excited to join the Screaming Eagles family, a committed group that wants to do things the right way with a burning desire to have a winning team in Cape Breton,” said Shaw. 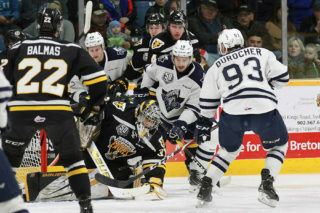 Shaw has an extensive hockey background including a span with the Screaming Eagles as the team’s Atlantic scout coordinator from 2010 to 2013. Shaw has also held the position of Nova Scotia scout for six seasons in the QMHL, for both the Lewiston MAINEiacs and Moncton Wildcats. Currently Shaw is owner of Extreme Edge Power Skating (since 2004) and co-owner Extreme Edge Hockey School (since 2014). Previously Shaw worked extensively with Hockey Nova Scotia, including as the head coach of under-16 team in 2009, and as treasurer for Glace Bay Minor Hockey from 1998 to 2012.